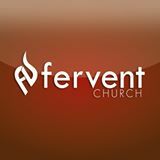 Fervent and passionate are identical synonyms unless you include devoted in the definition of fervent. Having a fervent belief means that not only are you passionate about the belief but you are also devoted to it. Passion can come and go but a fervent experience and/or belief can last a long time because of your devotion to it. This entry was posted in common sense, education, science, society and tagged common sense, devotion, education, fervent, intensity, language, passionate, science, society, the truth about fervent, words on October 4, 2015 by uldissprogis.